Talk of Indian kitchens and mustard seed is a must-have that is used in various forms and style for regular cooking needs. If you savor the spicy smell and flavor of these tiny seeds, it’s time to take notice towards its beauty benefits too. The mustard seeds which had been making your food yummy and lips smacking for years can also help you with a glowing and beautiful skin tone. Sounds strange?? But it’s true. Do read below to know more. Having many nutritious values, mustard seeds can be used for multiple beauty benefits with ease and effectiveness. Used widely as a face scrub for its coarse and round structure, these seeds are mixed with different ingredients to make a scrub paste that removes dead skin and dirt properly. Apart from being a good scrub that can be used for skin exfoliation, mustard seed also enhance the hydration system of skin. If blended rightly with aloe vera and lemon juice, it makes for an unbeatable beauty solution that nourishes and cleans the skin of all impurities. Mustard seed is rich in sulphur content which acts as a natural anti fungal property, thus helping fight against skin infections and rashes effectively. Its lutein and carotene content along with various vitamins makes it a brilliant anti aging solution also. Mustard seed is also great for your hair growth and its health as it is loaded with vitamin extracts at its best. From conditioning to hair strengthening, mustard seed does it all. Other benefits that are associated with mustard seeds include blood pressure control, asthma relief, prevention to cancer risk, arthritis help and many more. 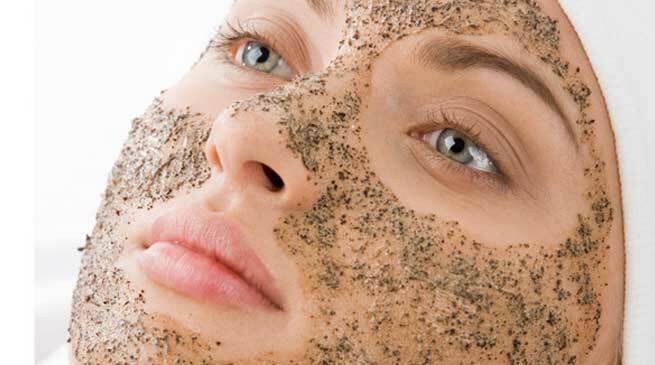 Now that you are aware of the various benefits to bank on with mustard seeds for your skin, it’s time you try some simple facial scrubs with mustard seeds that cleans your face from pollution, dirt and dust successful. For effective exfoliation of skin, mix mustard seeds with rose water and other essential oils smoothly. Apply it on your face, neck and hands and massage in anti-clockwise direction to clear out all dead skins properly. Keep it for 10-15 minutes and then wash off with water. Pat dry and get moisturized and flawless skin instantly. 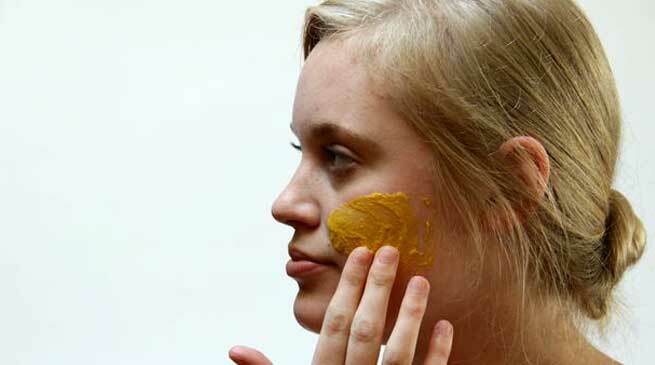 Another mustard facial scrub that is equally effective in skin cleanup process is the mustard and aloe vera mixture. Mix some mustard seeds with the aloe vera gel and massage your face for 10-15 minutes. The seeds will remove the dead cells while the aloe vera gel will moisturize your skin deep within in a natural and excellent manner. Blend together mustard seeds, yogurt, lemon juice, honey and corn flour with water to make a smooth paste. Apply it evenly and allow it to dry for 20-25 minutes. Rinse away with clean water and get gorgeously glowing skin without effort. You can mix many more simple ingredients such as olive oil, gram flour etc. to make an excellent home scrub to bank on.